Code red! Is Katherine Heigl a secret Jolex shipper? … Sort of! 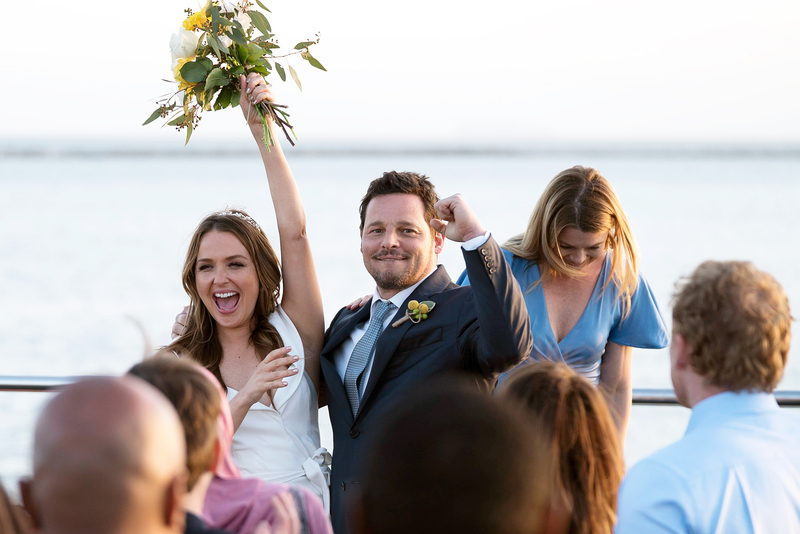 The actress recently learned that her Grey’s Anatomy character Izzie Stevens’ ex-husband Alex Karev (played by Justin Chambers) wed Jo Wilson (played by Camilla Luddington) during season 14 of the ABC hit, eight years after Heigl’s controversial exit. “Ohm my God! Well, that’s exciting. Alex needed to find love — true love,” Heigl told TVLine on Wednesday, July 11. As for her character’s reaction to Alex tying the knot, the 39-year-old told the outlet that she isn’t sure how Izzie would react. Heigl made her final appearance on Grey’s during a January 2010 episode of the medical drama after an alleged feud with series creator Shonda Rhimes. The tension between the two women started after Heigl infamously withdrew herself from consideration for an Emmy nomination in 2008 due to her lackluster storyline. While fans should not expect to see her back in scrubs at Grey Sloan Memorial anytime soon — Rhimes told The Hollywood Reporter in 2014 that she “doesn’t put up with bulls—t or nasty people” — Heigl is returning to TV. After Duchess Meghan (née Markle) exited the USA series Suits ahead of her May wedding to Prince Harry, it was announced Heigl was joining the drama as a series regular for season 8. She is set to make her debut on Wednesday, July 18.